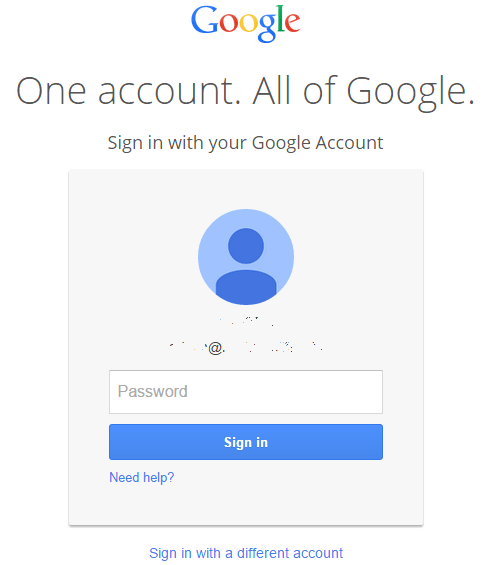 Whenever you have to login to Google to use any of their host of services, you may be presented with a sign in page where you can select an account to log on from a listing of all your Google accounts ever used to sign in on the device, which the Google dubbed “Account Chooser“. Account Chooser is a OpenID Foundation’s project to make it easier to sign in in the future as login information no longer needed to be re-typed and accounts can be distinguished visually with name and pictures. Not everyone is fond of Account Chooser though. 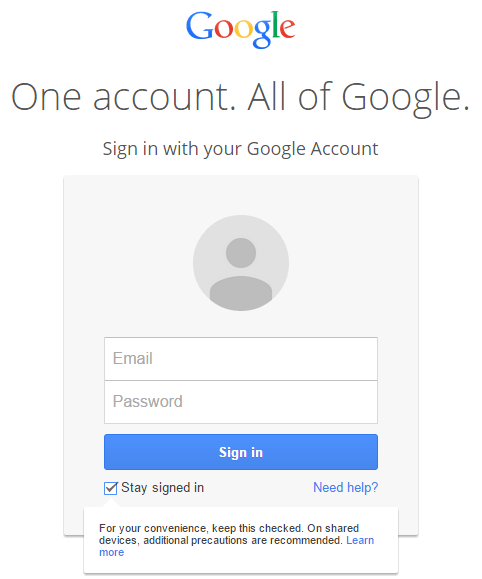 One thing is about privacy, especially if many people is using the same computer, or you don’t want to accidentally let somebody else knows of all Google accounts and accounts from other websites participating in Account Chooser that you have. Another reason, which is why I am not especially pleased with Account Chooser, is that it breaks the AutoFill or AutoComplete of some web browsers. Most AutoFill or AutoComplete feature for user credentials is depending on the pairing of user name and password. Account Chooser, after a while, but frequently, prompts for password especially for accounts that you access infrequently. Only the password field is shown and required to be entered, as user name or user ID is already selected. This behavior causes some browser to not automatically fill the password, and I have to manually type the password again and again. You choose to enable Account Chooser by checking the “Stay signed in” check box, which is the default setting, so whenever you sign in to an account, the account will be added to Account Chooser. This applies to newly logged in account when you click on “Add account” link and leave the “Stay signed in” check box selected. Note: All tricks below depends on cookies set on the web browser. So if you clear your cookies, all settings are lost and back to default preferred by Google. You can exclude an account so that it’s not remembered by Account Chooser, by unchecking Stay signed in check box when logging in. When you deselect the “Stay signed in” check box, it will stay unselected until you enable it again. To remove an account from Account Chooser, firstly sign out from the account, then sign in again to go to the Account Chooser sign-in page. Click the Remove button below the account list, and then click on X behind the account that you want to remove. 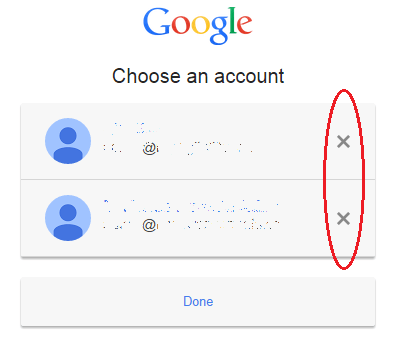 There is 2 ways to disable Account Chooser. Always uncheck Stay signed in checkbox when signing in. This way, no account will be remembered and stored by Account Chooser. If you have accounts currently listed in Account Chooser, remove them. 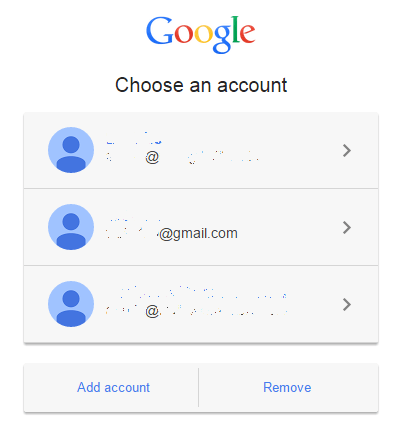 Disable Account Chooser by clicking on https://www.google.com/accounts/optintoaccountchooser?optout=1.